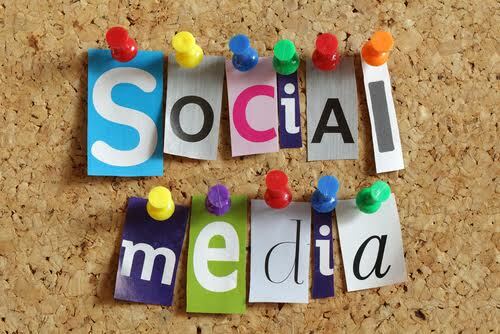 Eight months ago, I shared 30 of the best social media campaigns of early 2014. I chose these examples because they were creative, inspiring, or otherwise notable. The sun has set on 2014, so it's now time to pick 30 of the best social media campaigns for the rest of 2014. As with the previous post, I organized these by channel to give you several examples for each. And similarly to the previous post in this series, I don't have the data to see which of these campaigns were the most successful or highest-performing. It's simply a collection of social media campaigns by brands that set an example for creativity and excellence. Puppies are irresistible, and every digital content creator knows it, including Virgin America. Their Facebook page includes an ongoing video series with short films like this gem about Boo. The videos are short and in line with Virgin America's quirky and irreverent sensibilities. This video performed pretty well, too: most of the recent photos I saw on Virgin America's page had a few hundred likes, while this video had a few thousand. We don't know if ads were behind any of that success, but we do know that this puppy video fetched ample engagement among fans. Almost every brand is promoting something time-sensitive on Facebook, but many brands aren't taking advantage of Facebook events. If you're promoting something in-person (like a new store opening) or a truly monumental online event (like a flash sale or live broadcast), take a page out of Warby Parker's book and create a Facebook event for it. Audience members can invite friends and share with their own networks. Evernote has a fantastic Facebook presence. They frequently offer productivity tips and interviews with especially creative and productive people, like Neil Gaiman. Instead of just announcing a new product feature in a Facebook post, Evernote also creates Facebook milestones so that these high points are easily accessible via the "About" section. It's a nice way to make use of an existing Facebook feature and pay special homage to certain company events throughout the year. 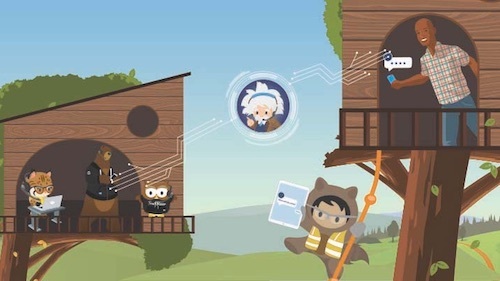 For example, recent 2014 milestones include: Save Wall Street Journal News Into Evernote, Introducing Context: A New Way To Work, Evernote Conference Day 1, and Evernote for Mac (Version 5.6). At its core, social is about sharing. Etsy took that concept to heart by celebrating guest pinners on its Pinterest account. They invited pinners from different Etsy shops to curate their own gift idea boards, hosted on Etsy's account. There's no shortage of lovely gift ideas on Etsy, and this campaign allows even more visibility for niche shops. Lilly Pulitzer's Pinterest boards look as bright and beachy as their models. The brand creates seasonal boards throughout the year, like gift guides and resort fashion lookbooks, to keep their glorious product line front and center. I especially appreciated how they mentioned "back in stock" items in the gift guide. Brands, take note: this is how you create great Pinterest content year-round. One of the top 10 YouTube ads of 2014, the celebrated #LikeAGirl ad by Always was an emotional look at what it means to do something "like a girl." This video racked up 53 million views during a World Cup year when many ads were dominated by high-profile athletes. Pretty amazing what a touching story can do. In the #9 most-watched YouTube ad of the year, Budweiser explains: "Next time you go out, be sure to make a plan to get home safely. Your friends are counting on you. Enjoy Budweiser responsibly. #FriendsAreWaiting." This video tugs at the heartstrings and had only 948 thumbs down on YouTube with 48k thumbs up. 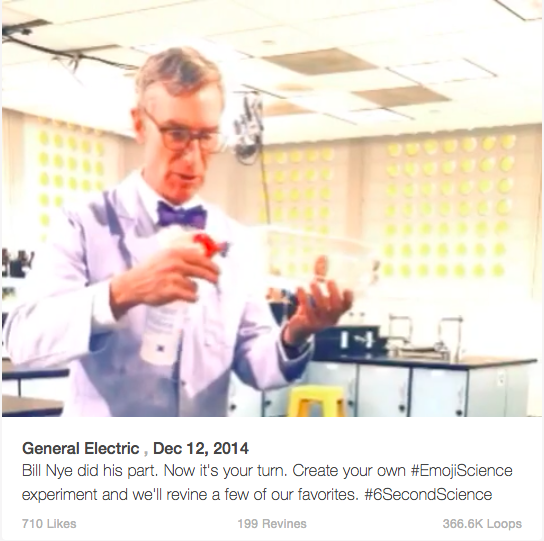 In this smart use of Vine, General Electric partnered with Bill Nye to create #emojiscience experiments: experiments inspired by different emoji. They've shared several examples of this, ramping up the campaign toward the end of 2014. Weird, but strangely addictive (a metaphor for Vine in general?). Check out GE on Vine for more. Teens love MTV. Teens love Vine. MTV + Vine just makes sense. MTV's Vine account benefits from having plenty of celebrities around HQ to make cameos and greet the Vine audience. One really cool use for Vine that any brand (not just those with celebrities on hand) can use: conduct an interview or FAQ with audience-sourced questions. Answer one at a time in Vines, like a recent example from a #redbandsociety interview. 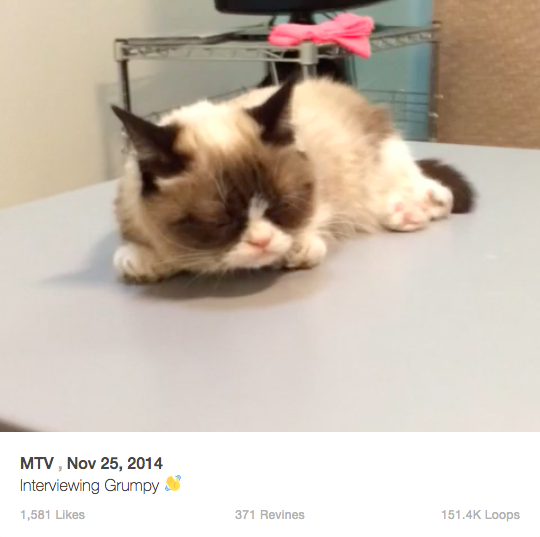 In the example below, MTV's Vine creators showed off Grumpy Cat's visit to the office in November 2014. Vintage-inspired clothing company PinUp Girl Clothing runs two separate Instagram accounts: one for their overall clothing brand (@pinupgirlclothing) and one for their Los Angeles-area boutique (@pinupgirlboutique). Two separate accounts make sense for their brand because they run separate sale events for each (for example, the in-store boutique didn't feature the same Cyber Monday sales as their website). Still, the same overall voice and fun-loving sensibility permeate both accounts. Their Instagram for @pinupgirlclothing runs an ongoing behind-the-scenes campaign for their fashions. For example, regarding the below photo, they posted: ". 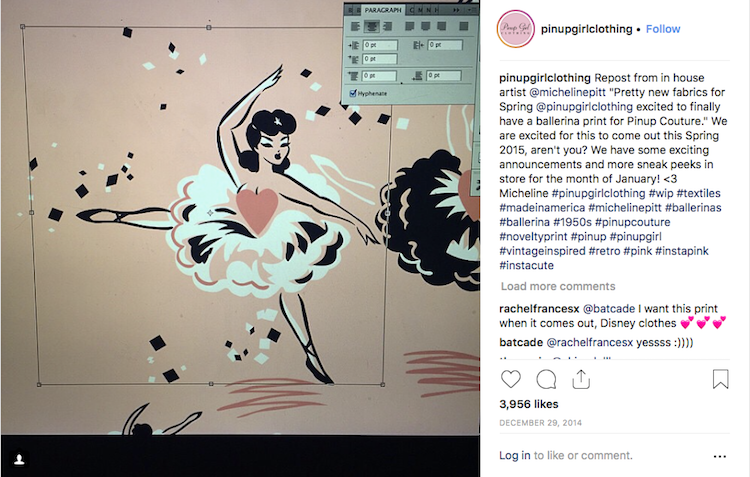 . . from in house artist @michelinepitt 'Pretty new fabrics for Spring @pinupgirlclothing excited to finally have a ballerina print for Pinup Couture.'" @newtonrunning created a charitable way for Instagram followers to engage with them and support an important cause. In November, they posted, "Join the No-Shave November movement! Share photos with #5MileShadow & #NewtonRunning to help raise money for cancer research! For every photo shared we donate $1 to No-ShaveNovember.org." 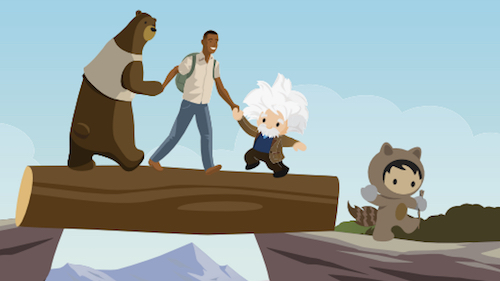 The average Inc. Magazine reader and the average LinkedIn user are both digitally savvy, career-oriented people who want to stay on top of what's next in business. Inc. has turned their LinkedIn page into a sort of second homepage for their news site, providing the latest headlines on topics of interest to LinkedIn users. During the workday, they publish a new update with a news story every 1-2 hours, keeping readers aware of current events without ever leaving LinkedIn. Regularly recognized as one of the world's top places to work, Google rocks their LinkedIn presence by showcasing company news and general-interest HR articles. Take this recent example, which shared an article about the things new employees would like to know on their first day of work. We all know Google as a tech giant, but given their many HR accolades, it's clear they're a thought leader in the hiring and HR space, as well. Hyatt has a successful LinkedIn page that leans heavily on great content from Hyatt's blog. With topics running the gamut from hiring at Hyatt, worldwide travel, and new updates at Hyatt hotels (like free wifi), Hyatt uses LinkedIn to share information that's pertinent to business travelers. They also run an ongoing #InAHyattWorld campaign that features stories from their properties around the globe. Code.org's LinkedIn page heavily promotes their Hour of Code campaign. The key is that they share a variety of media types to educate and entertain. This way, the "you should participate in the Hour of Code!" message doesn't get boring or annoying. For example, they recently partnered with Disney to release a Frozen-themed coding experience. They've also shared videos with high-profile tech leaders like Sheryl Sandberg. It's a varied content strategy that draws from different sources to keep interest high. Not every brand prioritizes Google+. It certainly has a smaller audience than YouTube or Facebook, and some brands have struggled to create a Google+ community that keeps coming back. Airbnb has one of the best Google+ accounts I've seen. They consistently publish content (rather than remembering to publish to Google+ every few months...) that appeals to their tech-savvy, world-traveling crowd. When you think about it, Airbnb and Google+ make sense. Ferrari's Google+ strategy primarily seems to be "post pictures of cool cars. Repeat." But it works. The aren't too many brands getting 3,000+ likes on their Google+ photos. Check out this example. Google+ isn't just for status updates. Burberry uploaded gorgeous product photography for the holiday season in a Google+ album, reminding us of a lesser-used G+ feature. 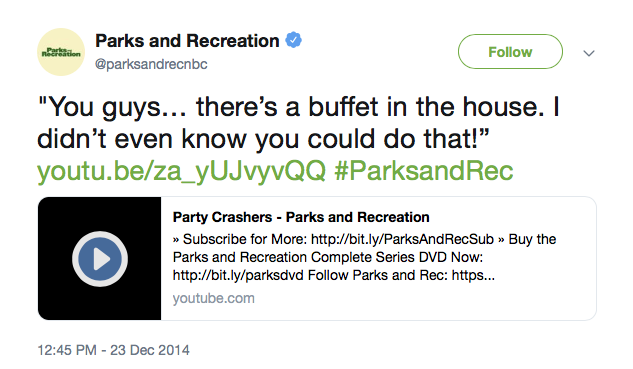 The Parks and Rec Twitter account proves that there's always an opportunity to repurpose your own content. The show doesn't release its final season until January 13, but they've spent the past several months sharing clips and GIFs from the show on Twitter and commenting on current events. For example, during the holiday season, they shared a funny clip about eggnog and the Christmas buffet at Jerry's house. Rather than just remain silent for months before the premiere, or worse, tweeting incessantly about when the new season would begin, the Parks and Rec social team found clever ways to use existing content to engage and entertain fans in the slow period. The Interview has a 52% Rotten Tomatoes rating and hasn't been universally lauded for genius writing and acting. But the movie ended up being the most talked-about film of the holiday season and Sony's top online film ever. No matter what you have to say about the actual contents of the movie, you have to admit this Twitter campaign is attention-grabbing and fun: James Franco, Seth Rogen, and Evan Goldberg hosted a live Twitter viewing of the film so that fans could watch, laugh, learn backstage facts, and tweet along with the stars. 24. Spotify Offers a "Year in Music"
Building off the popularity of generated "year of" posts on Facebook and Instagram, Spotify created a similar feature to celebrate individual users' year in music. As a Spotify user, I received a promoted tweet about this campaign in my feed. It's a great tool to entice Twitter users to click through and switch their attention from Twitter to Spotify. According to Happify's Twitter bio, they're "turning the latest innovations in the science of happiness into fun activities and games that help you lead a more fulfilling life." True to their mission statement, Happify regularly shares positive quotes and life tips on their Twitter account. Everything is beautifully branded and cheerfulness-inspiring. From the pleasant colors to the #happyquotes, it's the kind of brand Twitter account you can feel good about following. As a follower of @theparisreview, I've noticed that the quarterly literary magazine often tweets inspirational or thought-provoking quotes by famous thinkers, followed by a simple link. It's an ongoing strategy that encourages retweets or shares in two ways: first, followers may simply want to share the quote. 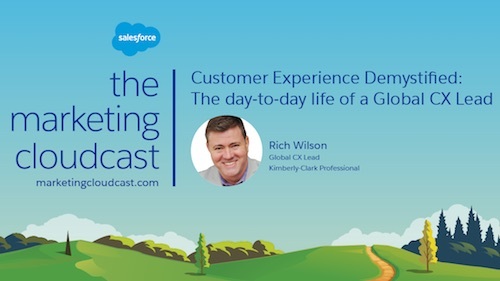 Second, followers may be clicking through and sharing the link, but often the quote is more attention-grabbing than the title of the interview. It's a good reminder to mix up the ways in which you share articles and links on Twitter. Jamie Oliver has the best Facebook page of any TV chef I know. He shares video recipes, text recipes on his blog, helpful cooking tips, and plenty of year-round cheer. He recently helped sponsor a contest supporting #BetterFoodForAll. The contest ran via Twitter and Instagram hashtags, but was promoted on Facebook. The page didn't over-promote this contest, as this was the only mention I saw. It doesn't make sense for social channels to constantly refer audiences to other social channels, but in the case of a worthwhile contest, it works. Instagram posted a case study on their corporate blog of how Mercedes-Benz created a cross-channel, highly visual Instagram-Facebook campaign. The campaign featured images of a custom mat in the shape of their new GLA SUV with things organized neatly on top of it, as shown below. Their study says, "People who saw ONLY branding ads across Instagram and Facebook (and received no ad driving click through to the website) generated 54% more clicks to the GLA site vs. the control group. But when we added Facebook direct-response ads into the equation, people who saw a combination of Instagram and Facebook branding ads followed by Facebook click-through ad saw a 580% lift in visits to the site (vs. control who saw no ads at all)." During the hectic and noisy holiday season, Incipio created a visual lookbook for their fashionable iPhone cases. They posted an abbreviated version on Instagram and the full version on YouTube. This approach is a smart example of slicing and dicing a long-form video campaign to make it Instagram-appropriate. Incipio also included a short slide at the end with links to their other social sites. Ritz-Carlton is betting on social by devoting a huge piece of homepage real estate to a new cross-channel social campaign. "Memories by the Ritz-Carlton" asks users to share photos of their favorite memories at Ritz-Carlton properties, and the luxury travel brand selects top images to share on the site. The collection is heartwarming and personal, but it also gives viewers ideas of places they might want to visit in the future. 2014 was an innovative year in social. We saw more brands focus on their audiences' needs instead of themselves, and more brands used channels outside of Facebook and Twitter. At least in my own social feeds, I noticed that purely promotional brand content took a nosedive in favor of truly useful and entertaining content. 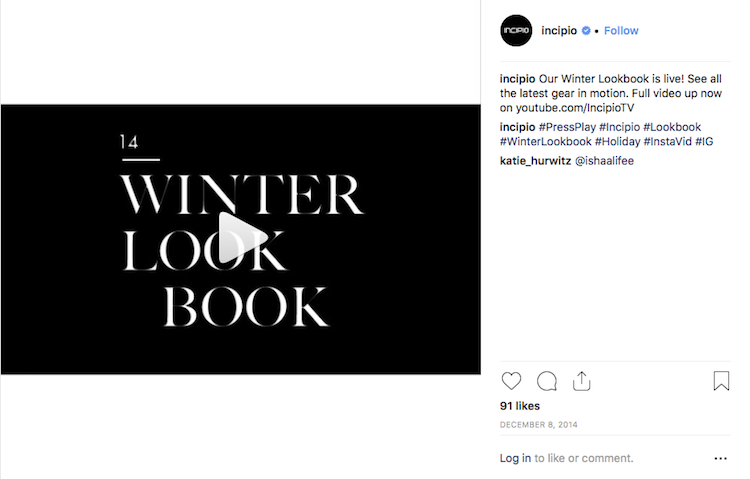 In 2015, we'll continue to spotlight campaigns like the ones in this post, sharing the most innovative social media examples on existing channels and social channels that aren't even popular yet.